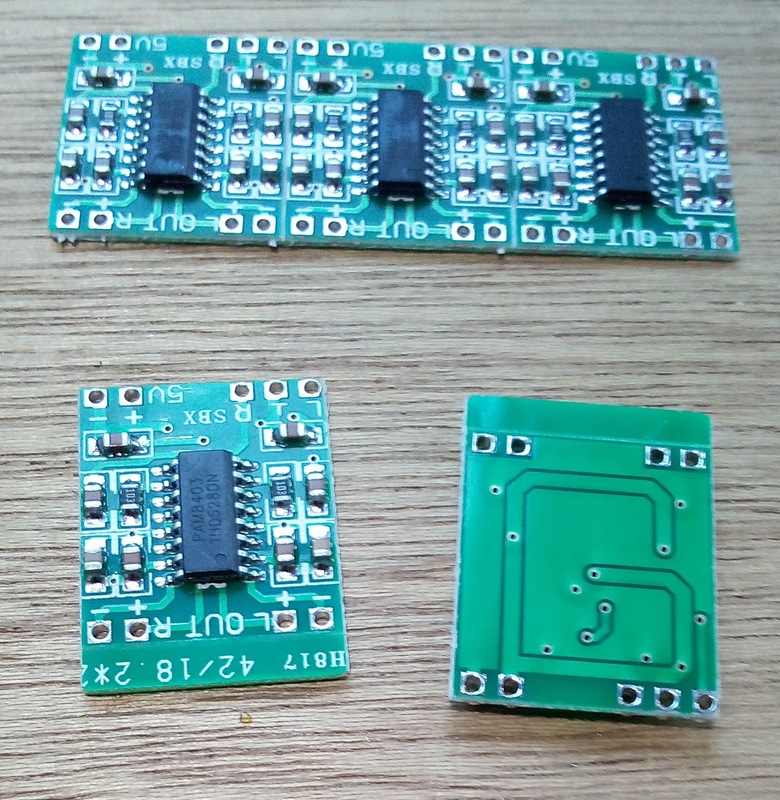 At Aliexpress i ordered 5pcs/lot PAM8403 Super mini digital amplifier board 2 * 3W Class D digital amplifier board efficient 2.5 to 5V USB power supply for 0,87 euro. That is about 18 euro cents for a stereo amplifier module! This module has no potentiometer to regulate the output volume. 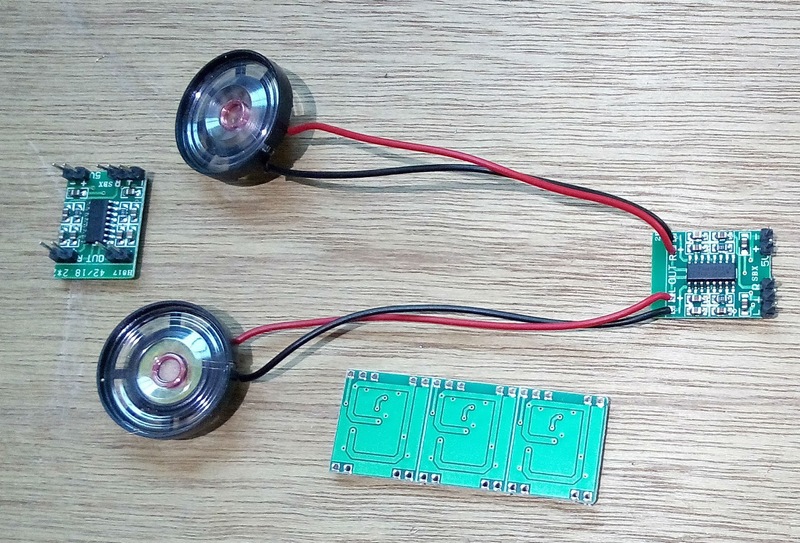 There are also other PAM8403 modules available, some with potentiometer(s). 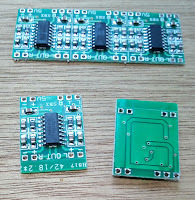 On one i soldered Dupont connectors for easy access to us it on a breadboard or other temporary experiments. 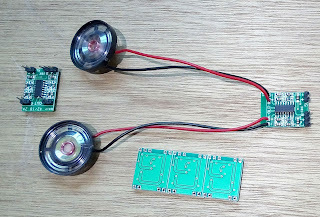 On another i soldered wires to two cheap mini speakers and also some Dupont connectors.